Who am I? Who are we? What makes our employees tick? What makes our customers tick? Individually and as a team? Diagnostic instruments render the many facets of the personality visible and open to discussion. They help us see people’s differences as a valuable enrichment and allow us to integrate them as such, rather than rejecting them. In training they generate a collective terminology that aids us in linking different viewpoints and behaviors. This in turn fosters a better understanding between the participants and renders them more receptive to the notion that it is precisely through diversity that greater opportunities and synergies are created. Don’t hesitate to contact us now if you are interested in learning more about INSIGHTS MDI® or 360-degree feedback. Feedback from all sides: Recognize your potential. You have more strengths than you can imagine. The 360-degree feedback tool is an instrument designed to evaluate the skills and performances of employees and managers. It takes a variety of factors into account, based on feedback that the participant receives from colleagues, superiors, clients, suppliers, or employees. The participant also has the chance to evaluate his or her own performance. It is by subsequently comparing the participant’s self-assessment on the one hand, with external evaluations on the other, that a vivid and realistic picture of the skills and behavioral tendencies of the participant is formed. In analyzing the individual’s strengths and weaknesses in this way, we can then structure precise and individual learning programs based on our findings. The feedback procedure is anonymous, ensuring that the participants can be honest in their appraisal. Would you like to discover a sales and management instrument that allows you to approach a client based on their profile type? Then we invite you to test INSIGHTS MDI®, the key to efficiency in sales. This tool will enable your employees to more readily spot a customer type, and therefore boost their chances of success. In training with INSIGHTS, every participant has the opportunity to receive their own personal INSIGHTS MDI® analysis. Besides boosting the participant’s willingness to learn, this gives him or her the chance to get to know this outstanding personality instrument firsthand. After all, nothing is more invigorating than gaining new insights about oneself. Selling is conditioned by four factors: the customer’s personality, the seller’s personality, the relationship between buyer and seller, and the product itself. Sales professionals usually have a solid grasp of their product, but do they know themselves and their customers equally well? What impression are you making on your customers? How do you react to different clients? How do you react to yourself? 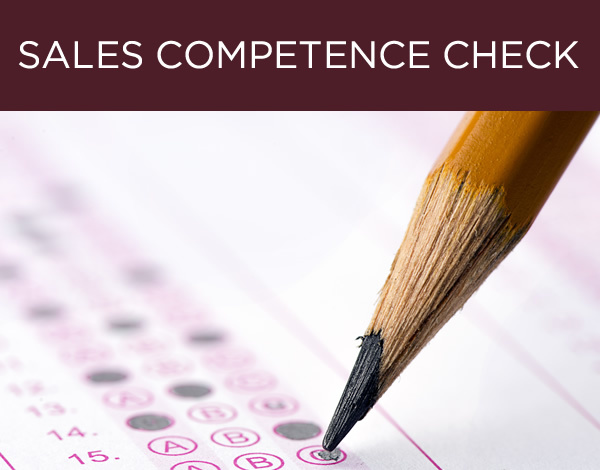 How do you behave in each successive phase of a sales pitch? How do you provide the individual care that every customer desires? And how well do you master every single phase of the sales process? INSIGHTS MDI® will provide you with the practical approaches necessary to become a top sales professional. Find out how the INSIGHTS MDI® method allows you to promptly recognize your customer type so that you can tailor your sales strategy accordingly. The INSIGHTS MDI® reports are available in a variety of languages besides English. Here you will find the complete language overview.